You are at:Home»Bloggers»Getting to know Menzi Mchunu, GQ Best Dressed Man Of the Year. Getting to know Menzi Mchunu, GQ Best Dressed Man Of the Year. GQ: Style with substance. Is it important? Menzi Mchunu: Yes, I think so. I don’t just dress the way I do for fun. It highlights where I come from and how the men from that area used to dress. It’s taking yourself and celebrating your heritage, culture and identity and being proud of who you are in that sense. GQ: Who is a great example of this in South Africa? MM: All the individuals who are part of the African Dandy movement. It’s more about lifestyle than just what you wear. 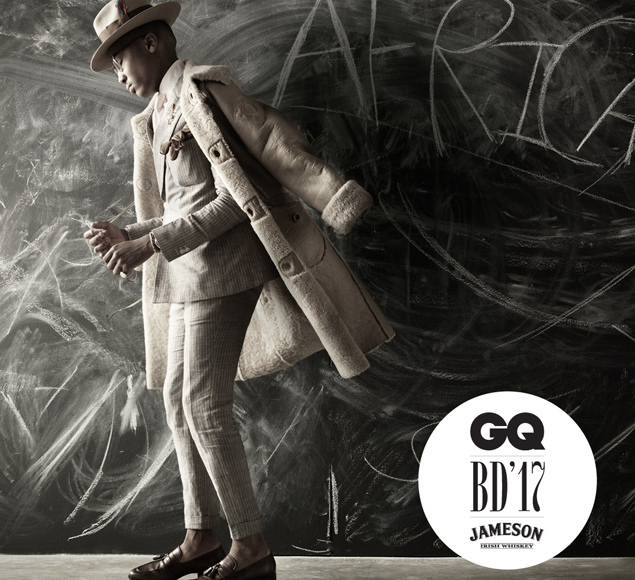 GQ: Who’s leading the way in South African fashion? MM: I think South African fashion is going two ways – the street-style movement is really exploding and it’s great to see how the youth are embracing street culture. There’s another branch that’s more high-end or couture inspired, with Laduma and others taking the lead in the design scene. These people are painting a different vision of what it means to be African and stylish. GQ: What does leadership mean to you? MM: It’s the ability be independent and think critically, to do what is best for your creative community and not just yourself. GQ: If you could meet any thought leader, dead or alive, who would it be and why? MM: Frantz Fanon because of his views on the black male and decolonisation of the mind. I would want to ask him how he got to this and how we continue forward. I would also want to meet Frank Lucas, the drug trafficker who operated in Harlem in the late ’60s and ’70s. I would ask him how he had the insight to cut through the middle man in the drug trade and go straight to the source in the Golden Triangle. It’s not about the drugs or the crime. It’s more about disruptive thinking. GQ: Do we need better role models in this country? MM: Yes and no. I think the concept of a role model is very dangerous because it feeds a cult of personalities, rather than understanding that people are people. Nobody is perfect. When we put so much pressure on people to be a certain way or to be perfect, it creates a problematic precedent that sets people up for failure.